Lots of developments in the past month. You can’t purchase or pre-order the game yet, but you can add it to your wishlist! It took a while to get the store page description right, but I’m really happy with how it turned out. 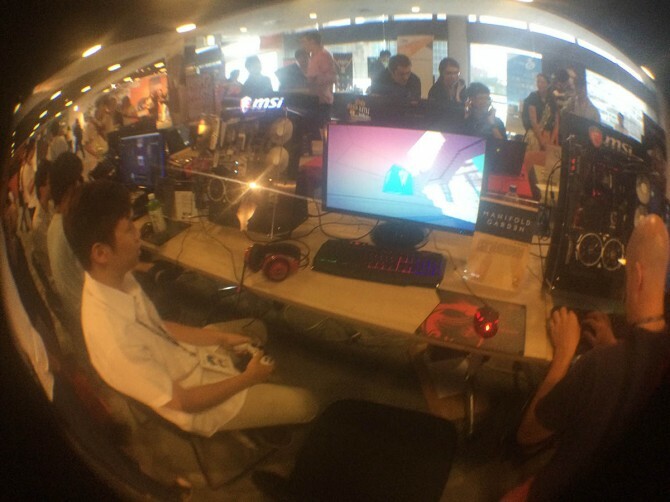 I actually edited it on the stream together with the viewers, which was a really interesting experience. Was able to test out different lines and get feedback right away. It was hard to capture the feeling and tone of the game because it’s so abstract, but I think this does a good job of representing it. I also really like the phrase “witness infinity” and also “eternal expanse”. 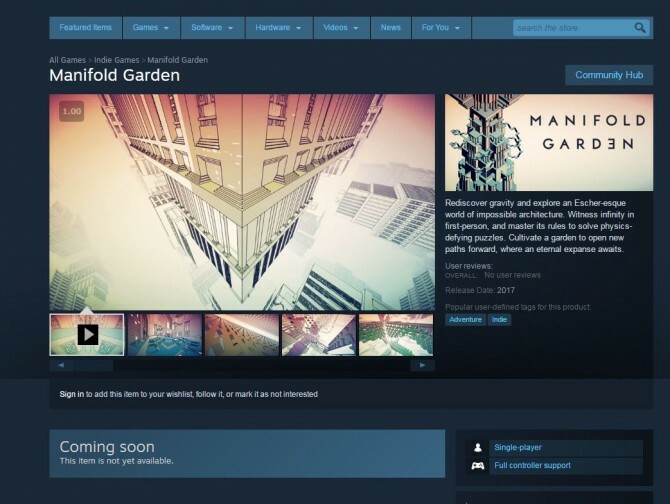 We launched a closed beta for Manifold Garden last Friday on itch.io using their refinery tools. This first round has about 200 people. The plan is to release a new build weekly, and add in 50 new testers every month up until launch. 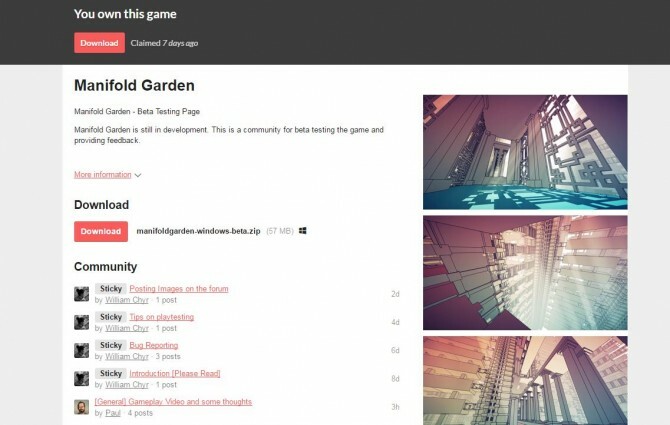 The coolest part of this process is that we added a bug reporting tool for playtesters. When playing the game, you simply hit “enter” to bring up the bug reporter. You can type in a bug description, and it will take a screenshot, send the report along with relevant metadata (level you’re on, player position, rotation, time played, operating system, GPU, etc) directly to our trello board. This is incredibly useful, and we already have hundreds of bug reports submitted. It will of course take us a while to get through all of them though. 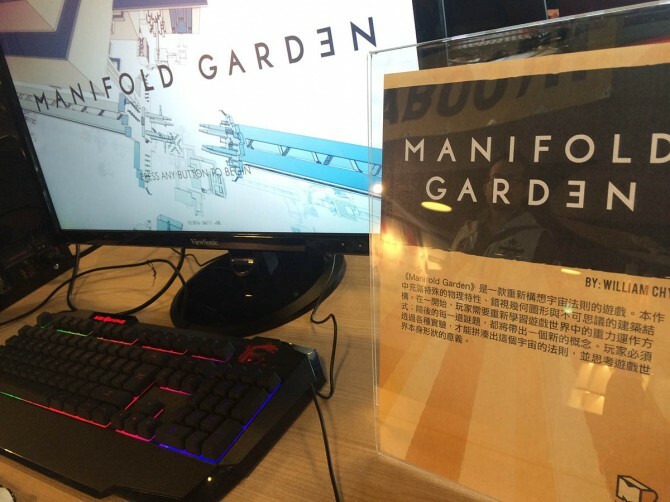 At the beginning of last month, I traveled to Taiwan to attend the Taipei Game Developers Forum, where I also gave a talk about the evolution of Manifold Garden’s art style. I had a fantastic time there. It was great getting to meet new people as well as hang out with some old friends.